Philosophy for busy people. Listen to this succinct account of the philosophy of Locke in just one hour. Much of Locke’s thought we would now regard as common sense. One of the most influential of Enlightenment thinkers; his philosophy was to lay the foundations of empiricism with its belief that our knowledge of the world is based on experience. Locke’s work introduced the idea of liberal democracy – a concept that has become the shibboleth of Western civilisation. Philosophy for busy people. Listen to a succinct account of the philosophy of Hegel in just one hour. With Hegel philosophy became very difficult indeed – even the great man himself conceded that ‘only one man understands me, and even he does not.’ His dialectical method produced the most grandiose metaphysical system known to humanity, and included absolutely everything, its most vital element being the dialectic of the thesis, antithesis and synthesis. Philosophy for busy people. Listen to a succinct account of the philosophy of Hume in just one hour.Hume reduced philosophy to ruins, denying the existence of everything except our actual perceptions themselves. The world is nothing more than part of my consciousness. Yet we know the world remains, and we go on as before. What Hume expressed was the status of our knowledge about the world – a world in which neither religion nor science is certain. Karl Marx's philosophical critique of capitalism and his solution of communism directly led to the formation of the communist state in the Soviet Union. Whilst this great venture has now all but completely failed, Marx’s philosophy has proved to be arguably the most influential of the 20th century; the influence of Marxism can be seen in subjects as diverse as the infamous policies of Joseph Stalin to many of the progressive humanitarian reforms of the 20th century. The audiobook is an expert account of Marx’s life and philosophical ideas - entertainingly written and above all easy listening. 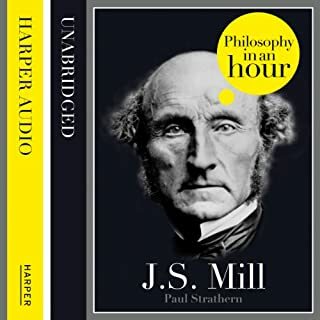 Also included are selections from Marx’s work, suggested further reading, and chronologies that place Marx in the context of the broader scheme of philosophy. Showed a poor understanding of Marxism . I felt it was biased and written from a pro capitalist viewpoint. a somewhat dismissive and shallow read. I wonder what Marx would have thought about everything done in his name? Although I know a little about Marxism, I knew virtually nothing about KM and I was surprised to learn that he had such a lackadaisical attitude to life. Despite what followed, he was far from being a great revolutionary himself! A compelling and insightful read! Naturally due to the recording length (1hr:22mins), it serves as an overview rather than in depth review. However, it does succinctly supply the key points to help you decide if Marx was one of the good guys or not. Interesting to remember Das Capital was published only four years after the end of the civil war in the USA. Which was about whether it was OK to keep slaves.. Oh well.. Very shallow commentary on Marx that rarely goes further than the biographical. The ideas that are discussed are not taken seriously and more detailed analysis can be found on Wikipedia. The author prefers to mock Marx, while failing to actually engage with his ideas. The title is a misnomer as this book is very short on the Philosophy and runs well over an hour. Wouldn’t recommend. 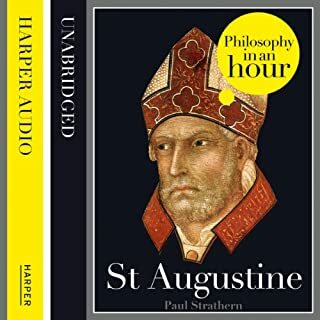 I was hoping for a balanced view of the ideas of Marx but this audiobook has an air of sneer and mockery of his ideas. I was disappointed in this. Many nations have declared themselves Marxist but I didn't want to hear about failed translation of his theories. I wanted to hear about Marx. If you want to learn anything about Marx, don't start here. Propaganda piece of the worst kind. Go straight to his writings. It gave good background, as well as the ideas. it was particularly good to listen to in Audio book form.